Federal regulators have renewed their threats to step in and finish an emergency Colorado River drought agreement that appeared to be wrapped up Jan. 31. Federal regulators have renewed their threats to create an emergency drought plan for use of Colorado River water after a plan that was believed to have been completed was not approved by all Arizona and California stakeholders. In a surprise announcement Friday, Feb. 1, morning, U.S. Bureau of Reclamation Commissioner Brenda Burman said more work is needed on an interstate contingency plan for the drought-stricken river, and she is going ahead with preparations for a federally mandated solution to the problem. In December, Burman gave the seven states that share the Colorado until Jan. 31 to finish their portions of the new river accord aimed at slowing the decline of Lakes Mead and Powell. They appeared to meet that deadline late Jan. 31, when Arizona became the last state to approve the plan. But in a telephone news conference Friday, Feb. 1, Burman said the work still isn’t done in Arizona and California because some water agencies, American Indian tribes and other stakeholders have yet to sign onto the deal. The Lower Basin Drought Contingency Plan calls for Nevada, Arizona and, eventually, California to voluntarily reduce their river use to leave more water in Lake Mead. Burman said Arizona took a “tremendous step forward” Jan. 31 when lawmakers voted to approve that state’s portion of the plan. But the deal won’t be truly finished until all of the necessary side agreements have been signed and executed, she said, and the federal government can’t afford to wait anymore. The bureau submitted a notice Friday, Feb. 1, to the Federal Register giving the governors of the seven river states until March 19 to recommend protective measures that the Interior Department could take on its own to keep the Colorado’s two largest reservoirs from draining. If California and Arizona can get their portions of the drought plan finished and signed by then, Burman said the bureau will withdraw its notice and cancel its plans for unilateral action. If not, Interior officials will act on their own, she said. “Standing by and watching Lake Powell and Lake Mead continue to decline to critical elevations is not an option,” Burman said. Chief among the holdouts is California’s Imperial Irrigation District, which controls more water than any other user on the river. The massive agriculture district gave tentative approval to the drought contingency plan in December, but its board wants the final package to include federal funding to stabilize the Salton Sea and stave off a looming environmental disaster in the California desert. Federal officials want to have some kind of drought response in place before August, when the Bureau of Reclamation adopts its operating plan for the coming year based on expected water orders, river conditions and reservoir levels. Two decades of record drought on the overtaxed Colorado has reduced the amount of water in Mead and Powell to about 40 percent of combined capacity. At Lake Mead alone, the water level has dropped by 130 feet since 2000. Nevada approved its piece of the drought contingency plan in November, the first state to do so. Southern Nevada Water Authority officials reacted to Friday’s news with cautious optimism. “We remain hopeful that a signed package will be delivered to Reclamation in the near future,” authority spokesman Bronson Mack said in a statement. The plan spells out a series of voluntary cuts each state would take based on the water level in Lake Mead. Under the first round of annual cuts, which could kick in as early as Jan. 1, Arizona would give up 192,000 acre-feet of water, and Nevada would give up 8,000 acre-feet. California would join in the reductions only if Lake Mead’s water level drops another 41 feet from where it is now. Current projections call for the massive reservoir to shrink about 18 feet by the end of the year, triggering the first-ever federal shortage declaration on the Colorado River. That would require mandatory cuts by Nevada and Arizona on top of the voluntary ones included in the new drought deal. Nevada would be forced to give up 21,000 acre-feet of water next year under those combined cutbacks, while Arizona would face reductions totaling 512,000 acre-feet. According to the Southern Nevada Water Authority, one acre-foot of water will supply two average Las Vegas Valley homes for just over one year. 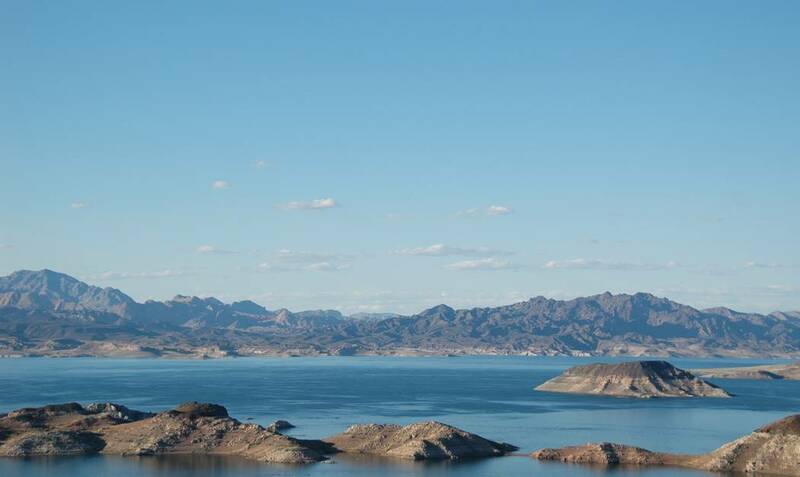 The valley depends on Lake Mead for about 90 percent of its total supply, but authority officials insist the community has conserved enough in the past 15 years to absorb any of the river cuts it might face in the near future.